Spain’s Civil Guard has launched an investigation into a Madrid-based haulage company after roadside checks found their trucks were installed with so-called emulators, which game air pollution control systems. Unlike Dieselgate, which was a manufacturer-led scandal, this is an example of vehicle owners breaking the law. The emulators are cheap to buy and there are even YouTube tutorials on how to install them. Thirty diesel-fuelled trucks were discovered to have the devices and the authorities have arrested four people. 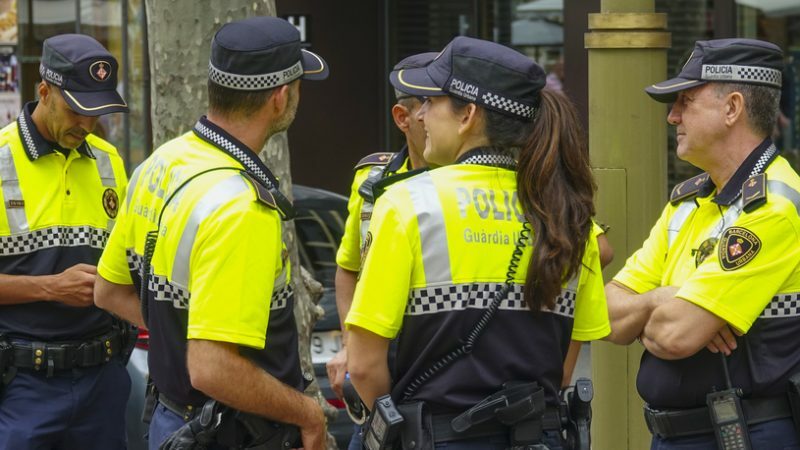 The Civil Guard has also enlisted the help of Europol because “several connections were made” with France and the United Kingdom. Europol was unable to comment on the nature of the connections. But clean mobility group Transport & Environment told EURACTIV that “this is not an isolated case” and confirmed that “there have been important investigations involving hundreds of trucks in the UK and Germany too”. The illegal devices trick the onboard electronics into thinking that the vehicle’s catalytic reduction system is working properly, which allows operators to skimp on purchasing additives that break down harmful gases like nitrogen oxide, as well as maintenance costs. Spanish investigators estimate that hauliers can thus save about €700 per vehicle per year, while the trucks are then free to emit unregulated amounts of air pollution and their sensors are none the wiser. The case brings back bad memories for European authorities of 2015’s Dieselgate scandal, in which German carmaker Volkswagen was found to have installed emissions-gaming software on about 11 million cars worldwide. European lawmakers reacted to Dieselgate by setting up a Parliamentary committee and launching an inquiry into how the cheating was allowed to happen. A final report made a number of recommendations to the European Commission and Council. On Thursday (28 March), MEPs supported a non-binding resolution that urges EU countries to recall and withdraw the large number of polluting cars still on the road. The Parliament is concerned that the issue remains largely unsolved. Vice-President of the Socialist and Democrat Group Kathleen Van Brempt told EURACTIV after the vote that the Spanish case is “astonishing” but “actually not surprising”. She cited the “cheating culture” that the car manufacturers have helped develop. Transport committee chair Karima Delli (Greens/EFA) insisted that it is “clear evidence that the lessons from Dieselgate have not been learned”, adding that the Thursday resolution is a call for those lessons to finally be taken on board. In 2017, MEPs agreed to give the Commission more power to police car manufacturers but stopped short of setting up a dedicated EU agency that would try and prevent a repeat of Dieselgate. Van Brempt said that was a lost opportunity, and added that without a dedicated authority to pool expertise “it is only going to get worse”. Thursday’s resolution also criticised the EU executive for failing to take member states to task and condemned the “obstructive behaviour” of the Commission. It cited an unwillingness to grant public access to technical meeting notes on the issue.